The Freedman Gallery hosts approximately 10 exhibitions each year with shows rotating in the main gallery and project space. The gallery’s mission calls for a focus on “contemporary, living, American artists.” Exhibitions are typically organized by the gallery’s curator and may include works from the Albright collection, loans from private collectors, galleries, and museums, or loans and installations that come directly from artists. Types of media include painting, ceramic, glass, wood and metal sculpture, textiles, photography, printmaking and new media (digital/video arts). 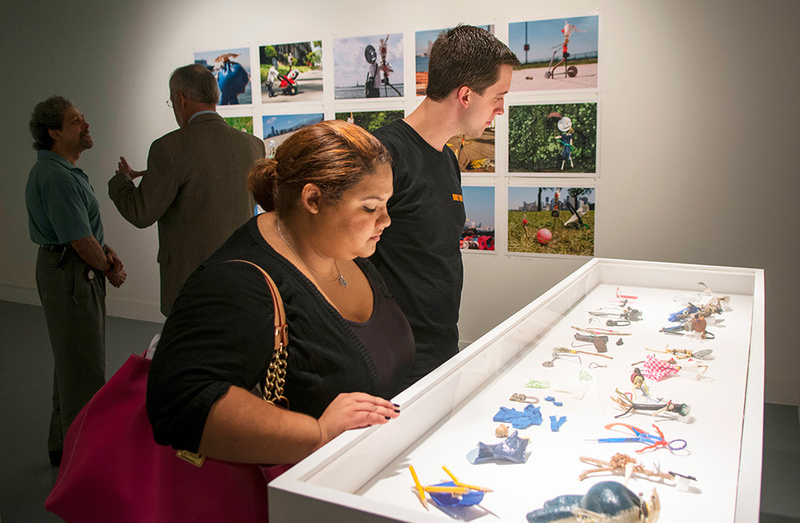 Exhibitions and programs at the Freedman Gallery and in the visual arts are proudly sponsored by: The Silverweed Foundation, The Doris C. and Alan J. Freedman Family Fund, Pennsylvania Council on the Arts and the Berks Arts Council. Admission to the Freedman Gallery is always FREE. Be sure to check out our collection of exhibition images and catalogs, and stay informed about upcoming gallery openings, special lectures, and tours. Closed on Mondays and Saturdays, holidays, breaks (see College calendar) and summer. Please select a year below to view all exhibitions and related information for that year. The Freedman Gallery is located on the ground floor in the northwest portion of the Center for the Arts. The entrance is directly off the parking lot at the corner of 13th and Bern streets. Parking on campus is free and visitors are welcome to park in the lot at 13th and Bern. For directions to Albright’s campus and parking information, please click here. 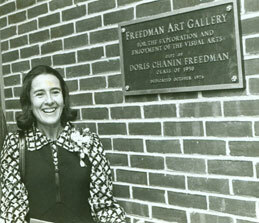 The Gallery is named after former Albright trustee and alumna, Doris Chanin Freedman. The first space on campus to be designated for a permanent art gallery was opened on Oct. 31, 1976. This facility (now known as Klein Hall) formed a part of the Campus Center. Perspective was the inaugural exhibition and it included works by Jim Dine, Sam Fransic, Nancy Grossman, Al Heid, Robert Morris, Louise Nevelson and Frank Stella. By the late 1980s the gallery’s needs had outgrown this space and in 1990, construction began on a new facility. With the assistance of a major National Endowment for the Arts grant, the College launched a $6.5 million building project under the direction of architect Adele Santos who collaborated with sculptor Mary Miss to create the central plaza and amphitheater that forms the heart of our Center for the Arts (CFA). Around this courtyard, Santos designed a south-wing to house the art department with studios for drawing, painting, printmaking, and for woodworking and ceramic sculpture. The north-wing houses the Freedman Gallery, originally designed as classic kunstellar or “white box.” With its temporary walls, the main gallery can be broken down into smaller spaces. However, the adjacent project space also offers options for exhibitions of smaller scale. The music department, with its studios, practice rooms, and Roop Hall performance space is located on the ground floor of the CFA’s northeast-wing. On the second floor of this wing, one can find the Wachovia Theatre, box office, and mezzanine, where special events and receptions are held. Altogether, the CFA provides a unique nexus for the multidisciplinary study of the visual and performing arts. Doris Freedman studied sociology and graduated from Albright College in 1950. 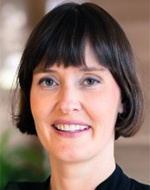 She earned a master’s degree in social work from Columbia University and began to focus her attention towards culture and the arts. Freedman served as the first director of New York City’s Department of Cultural Affairs, president of City Walls, and founder of the Public Art Fund. Each of these organizations focused on making the arts more accessible to the general public. The Freedman Gallery seeks to create, expand, and engage our passion for personal expression, individual creativity, and intellectual curiosity through exposure to the highest quality of contemporary artwork by, primarily, living American artists. Brochures are free with a 10” x 13” SASE and $1.20 postage. 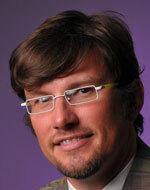 For Catalogs please send a check payable to Albright College. works by Pat Badt, George Canakis, Jane Runyeon, Ron Schira, Patrick Stzrelec, John White, Jr.
November 1 – December 15,1976.